You may register for The Fundamentals of Mindfulness & The Developmental Perspective separately. Successful completion of both programs are required to receive an Inner Strength Certificate of Training. This indepth program is uniquely designed to give you the philosophy behind the practice as well as specific classroom instruction. You will work closely with a small cohort to learn how to teach the 12-week mindfulness and cultural development curriculum. The goal of this training is to engage with the depth of mindfulness and the breadth of a developmental perspective so that when you teach you will be able to draw from the well of your own experience. Graduates become part of a supportive teacher’s cohort, with access to ongoing weekly professional development teleconference calls and teaching opportunities. If you’ve always wanted to share your love of stillness with teens, and you’ve wanted to connect with others dedicated to supporting this next generation, this training is an ideal opportunity. Click below for the complete training details. We are proud to announce the first Teen Digital Badge for Mindfulness. Partnering with Drexel University and Digital OnRamps/LRNG, we have developed a way for graduates of the teen mindfulness program to show their skills to employers and colleges. Log in by clicking the link below and complete the XPs (Experiences) to show your mindfulness competency. Application for Academic Year 2019 is now closed. We are accepting requests for 2020. 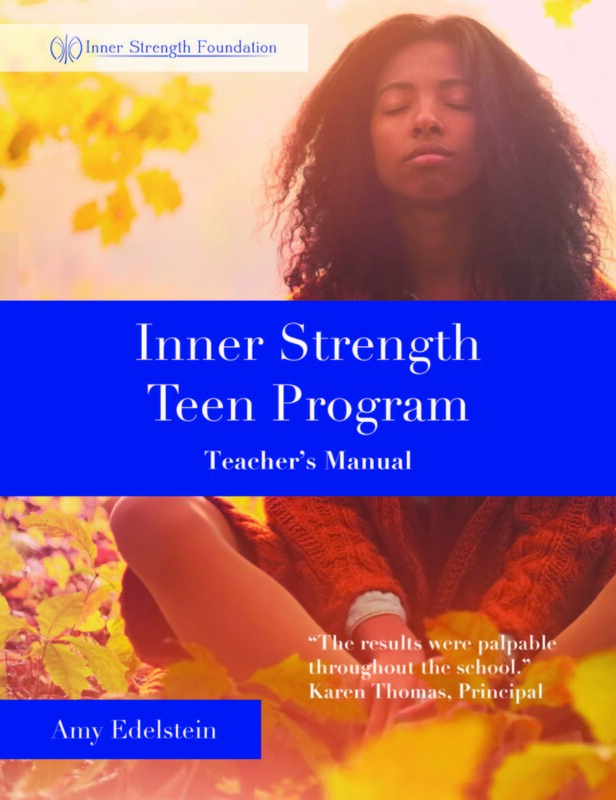 If you are a school administrator and are interested in bringing the Inner Strength Teen Program into your high school, applications are now being taken for the next academic year. These programs are run by certified mindfulness and cultural development teachers, and run for 12 consecutive weeks within the regular school’s programming. Conscious Classroom Webinars explore ways to energize the classroom with curiosity, compassion, and calm. Each session includes periods of mindful awareness practice, instruction & exploration, and Q&A. These sessions are open to all, regardless of where you trained, teach, or practice. Please note: Teen Webinars Hours are dedicated to individuals 19 years old and younger. “The best discipline is company.” Wise words indeed. If you would like to augment your personal mindfulness practice with light instruction and group support, join these weekday half-hour virtual practice sessions guided by Amy Edelstein. Enter your name and email and you’ll receive all the login details.